What are the characteristics of the perfect locum doctor? As a recruitment consultant here at Total Assist Group, I work with hundreds of doctors finding them placements across the country. With NHS trusts experiencing increasing staffing shortages, it is more important than ever to stand out as a locum doctor, since the multitude of work means you can fill your diary quickly, whether you opt for ad-hoc shifts or monthly ongoing placements. Naturally, it is vital to have the relevant qualifications and experience to work successfully, but it also comes in handy if you have the right personal skills too. 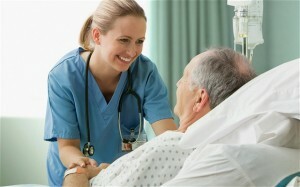 Do you have the character traits that hospitals look for? 1) Honesty – if I am going to find you work that ticks your boxes, you need to be honest and keep me in the loop about the kinds of work you are looking for. You also need to be honest if you don’t want a job that I offer and the reasons why, so that I can further tailor and fine tune the information that I send to you. 2) Good timekeeping – Starting late for a shift no matter what the reason is no way to make a decent first impression. This could hamper your chances of getting your placement extended or getting booked at that hospital again. 3) Reliable – It’s important to deliver on what you say you can commit to, for example, you shouldn’t cancel shifts that you are already booked to do. The hospital will have already factored you in to their schedule and they may not be able to find a suitable replacement in time for the shift which can cause serious problems. 4) Loyalty – I appreciate that many locum doctors use numerous agencies, but if we had the initial conversation about your requirements, then it’s great to bear me in mind if you need help finding work at any point. I always strive to deliver exactly what you want from a locum position. 5) Pro-active – If you are free for a couple of weeks and want work, then phone your recruitment consultant to provide your availability. Once we have a clear idea when you are free, it makes it ten times easier to find you shifts, especially since some hospitals and departments work a good few months in advance. Keeping in regular contact is always a good idea. Your first conversation with your assigned recruitment consultant will be the most important, and it is essential that you are honest. It is during this initial chat that we can together really narrow down the kinds of positions you are looking for; where you can mention barriers, such as locations you won’t work in due to family commitments, as well as influencing factors, for example how much you need to earn. This opening conversation allows me to devise a criteria list of what you are looking for so that I can cater what positions and posts I send to you, meaning I won’t spam you with jobs I know you won’t want. I really enjoy getting to know the doctors that I work with, many of whom have become firm friends, so as a recruitment consultant, I am here to look out for you and source you the best jobs available.